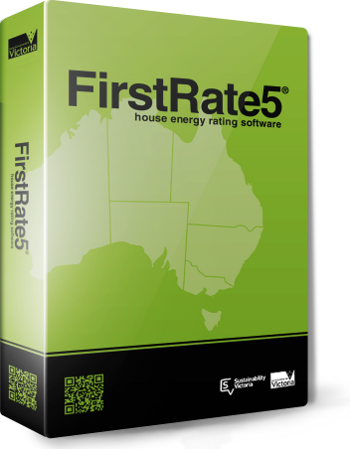 Education In Building is proud to be a leading Nationally Registered Training Organisation offering training in FirstRate5 Software which will allow you to practice as a NatHERS accredited House Energy Rater throughout Australia. FirstRate5® software is an easy-to-use interactive tool with a graphic user interface. It enables designers and thermal performance assessors to generate energy ratings for a house by tracing over floor plans. Our FirstRate5 Software Training is especially popular, as the software integrates the Chenath calculation engine to estimate the annual heating and cooling energy. It can also be used to rate an existing design or as an interactive tool to optimise the design beyond compliance. Why pay for an Energy Rating when you can do it yourself. All reference material and manuals are provided with the tutorials. Facts about FirstRate5 software course…. By completing the full FirstRate5 course as the tool of choice within the Certificate IV in NatHERS Assessment you will be eligible to become Accredited as a House Energy Rater, supported and recognised by NatHERS . You can enrol in the FirstRate5 course for just…..
Our fee for the complete course is GST free. For your convenience, payment plans can be arranged. Enrolments can be made at anytime of the year. You can start immediately. This training is delivered by way of On-Line pre-recorded tutorials using the EIB Learning Management System and authored by our highly skilled and qualified trainer. During the tutorials, students submit their work progressively for our trainers to assess ensuring that they are on the right track. What assistance do I get? During this training you submit assignments that one of our certified trainers will assess and provide you with feedback on your own work. We have found that we are having more success with the tutorials than face to face training as with the tutorials you can go over them as many times as you want and the personalised feedback from our trainers achieve great results. With our FirstRate5 course you get to talk to our trainers whilst doing the course. You will get immediate feedback on how you are going which gives you the peace of mind that you are on the right track when going forward with the course. You don’t have to wait till the end of the course to find out if you have passed or not. Steve Collins is the author of our House Energy rating software training. Steve is the proprietor of Concept Designs Australia, preparing architectural designs. He mentors students in mentoring program run by ABSA as well as Quality assurance auditing of thermal performance assessments for ABSA and BDAV. Steve has trained in home energy rating software for over ten years and his qualifications include Certificate IV in NatHERS assessment in all the NatHERS software tools (AccuRate Sustainability, BERS Pro & FisrtRate5) as well as Certificate IV in Home Sustainability Assessment and Certificate IV in Training & Assessment. Steve is considered to be an expert in the field of house energy ratings which allows him to offer training in software that is second to none. Following the successful completion of the course you will be awarded a Nationally Recognised Statement of Results bearing the unit codes and software tool you were assessed against. Awards are issued by Education In Building as the Registered Training Organisation. These are the units required by the NatHERS administrator to become accredited as a House Energy Rater. Don’t get caught by other providers who only offer a Statement of Completion…. check to see if you will be accredited to use the software with the NatHERS administrator. Once you have completed the FirstRate5 software training through Education In Building you will be able to use the three units of competency gained as a credit towards the full Certificate IV in NatHERS Assessment CPP41212. This is the requirement of the NatHERS administrator to become accredited as an Energy rating assessor. Your next step is to achieve the Certificate IV in NatHERS Assessment. Find out more. In addition you could enrol in our FirstRate5 Leading Edge software training which will take you to the next level. Find out more. The Units of Competency are…. This course contains 3 Units of Competency. Click to Show. Do you have further questions about our FirstRate5 software course?